If you’re an outgoing personality, like a bit of fun and don’t mind the saucier side of life, then the Candy Club could be for you. We offer full time and casual positions and great working conditions. We value our team and believe in our people. • For a 10min Dance, you get $50! • For a 20min Dance, you get $85! • For a 30min Dance, you get $110! • For a 60min Dance, you get $195! Simply put, we want to be the best Club in the industry by a mile. We have a strong following of cashed up regulars who spend. Our VIP Booths fill up every weekend. They want beautiful girls in fine lingerie. We’ve had a very busy year so far, and business is picking up into peak season. So we want you. Apply today. If you’re new to dancing, you’ve probably gathered that Dancers have the ability to earn exceptional money working 2-3 days a week. Exotic dancing (or stripping) can be harder than it looks. Our management team know how to support and train you to achieve your highest earning potential. • Help with career management and goal setting – because we know Dancers are here for a good time, not a long time! Even if you’ve never danced before, we can quickly introduce you to the role and help you to decide if it’s for you. Believe it or not, the job is easier than you might think! Drop us a line and we’ll talk you through it. Unlike other venues, we believe that our waitress role is actually our most important position. You are the connection between our company and our customer. So if you have a bad night, our customers never come back. That’s why we’re very particular about this role. Then you’ll love working for the Candy Club. Get in touch with us to see why. We are constantly promoting the Candy Club through the streets of Brisbane to ensure that every late night reveller knows we are here. We are always looking for good, fun, cheeky Promotional Girls to fill this very important role. This position requires the ability to follow strict instructions to remain noticeable (yet not pushy) and to let your smile and personality shine through to attract potential customers to our club. If that’s you, then we want to hear from you! 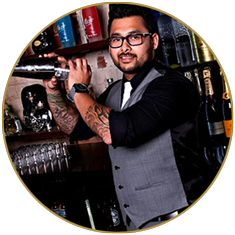 We believe that the drinks make the bar which sets the tone for the club. If you are passionate about your beverages, and can serve with style, then you might have found your new venue. Check out our drinks list. If that doesn’t blow your mind with our dedication to the top shelf, then you might be in the wrong place! Apply to the Candy Club – have a lot of fun making good money! At the Candy Club, we believe it’s possible for everyone to make really good money and have a great time doing it! We have consistent rosters and hours and the club is only open 6 nights a week which gives you a lot of schedule options. We believe in paying at the high end of the standard wage for every position because we only want the best to come play with us. We strive for the highest service levels, which means we work hard, but we laugh and joke a lot along the way … because that’s what our customers like to be around. We’re a small, hard working, tight team because we’re fair and straight with everyone. If this sounds like your kind of place, then perhaps you might become a valuable member of our team. If you’re good at what you do, have a positive bubbly attitude, and believe in going the extra mile to “wow” the customer, then we’d love to hear from you.